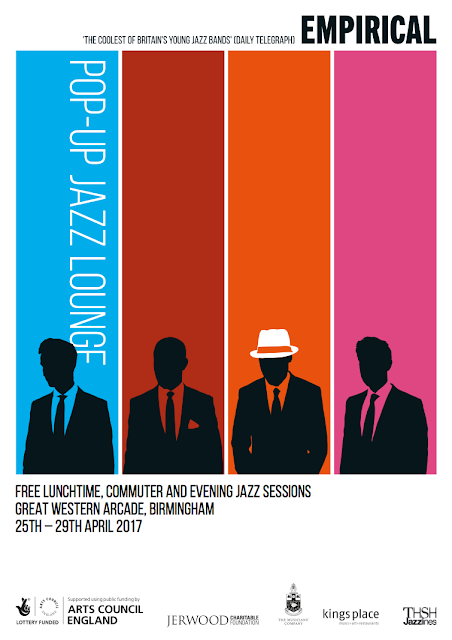 Award-winning UK jazz ensemble Empirical announce the return of their popular ‘Pop-up Jazz Lounge’ project.2017, which marks Empirical’s 10th anniversary, will see the band take up temporary residence at Pop-up Lounges in Birmingham, London and Liverpool. From 25th to 29th April 2017, Empirical will make Birmingham their temporary home. Taking over a retail unit in the Great Western Arcade, located at the heart of Birmingham’s Coleman Business district, the band hopes to attract workers, shoppers and commuters using nearby Snow Hill station. Birmingham residents and visitors will be invited to pop into the lounge for daily lunchtime and evening commuter sets, with evening performances scheduled for Thursday, Friday and Saturday. Early birds will also be able to catch an 8am mid-week session. All gigs will be free of charge. To give younger audiences a chance to experience live jazz, Empirical will visit Birmingham schools and host educational workshops demonstrating the principles of jazz improvisation to local youth music ensembles.The Pop-up Jazz Lounge project is made possible by funding support from Arts Council England, the Jerwood Charitable Foundation, the Worshipful Company of Musicians and is presented in partnership with Birmingham’s Town Hall Symphony Hall Jazzlines programme. In June 2017, the Pop-up Lounge will return to Old Street Underground station in London, before appearing in Liverpool in September. In February 2016, Empirical created a week-long Pop-Up Jazz Lounge in the concourse of London Underground's Old Street Station. 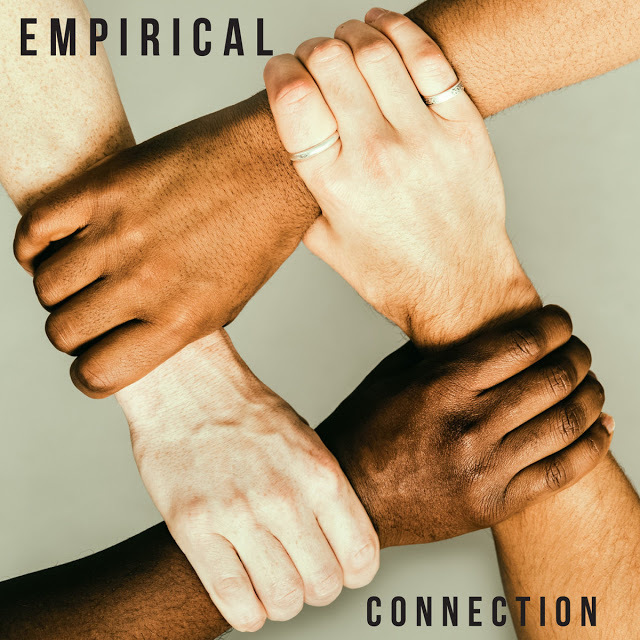 This ground breaking performance series was the first of its kind and connected both Empirical's music and jazz music in general with new audiences. Following the release of its eponymous debut album in 2007, which was produced by British saxophone star Courtney Pine and released on his Destin-E label, Empirical quickly established itself as a creatively-charged crew unafraid to explore jazz’s wild and wooly left field. They threw down the gauntlet with their acclaimed second album, 2009’s Out ‘n’ In (Naim). Produced by rising British saxophonist Jason Yarde, the project offers a highly personal salute to Eric Dolphy that won the band Best Jazz Act in the 2010 MOBO Awards (MOBO stands for Music Of Black Origin). In many ways Connection is a similarly bold statement, a program of original music that unfolds with the kind of intuitive narrative momentum generated by a great set. Opening with Farmer’s concise stop-and-start “Initiate the Initiations,” the album kicks off like a carnival parade driven by Forbes’ deft trap work. Farmer contributes half of the album’s 10 tracks, and his pieces often key on particular emotional states. “Anxiety Society” pits Facey discursive alto against Wright’s calm and cool vibes. By the end of the piece, they are both caught in a labyrinth, searching for a way out. He explores a different kind of disorientation on “Maze,” a piece that sways too and fro in various directions before breaking apart at the end as the center cannot hold. Facey offers several surprises on “Stay the Course,” the album’s longest track. With three distinct sections, it opens with a brooding theme, moves to an introverted swagger, and resolves with a long skittering vibes solo that’s unlike anything else on the album. Wright contributes some of the album’s most divergent tracks, from the seductive tranquility of “Lethe” to the angular “Mind Over Mayhem,” an abstract, intricately constructed sojourn tips the balance from order to disorder. In a fascinating pairing, Wright’s “It’s Out of Your Hands” follows, closing the album on a soft, insinuating ostinato. It’s another moment of probing contemplation on a musical journey marked by unanticipated swerves and cutting drama. If Empirical sounds uncommonly grounded in jazz’s experimental tradition, it’s probably because the quartet came together in an environment that treats jazz as a search rather than a destination. The musicians came together while involved in the scene around the acclaimed program Tomorrow’s Warriors, which was founded by prolific Jamaican-born bassist and arranger Gary Crosby (the nephew of guitar legend Ernest Ranglin and a founding member of the hugely influential mid-80s band Jazz Warriors). With its West African-tinged compositions and conventional hard-bop instrumentation of trumpet, sax, piano, bass and drums, Empirical’s 2007 debut album hinted at the band’s potential. But it wasn’t until the horn players and pianist dropped out, Farmer took over the bass chair, and vibraphonist Lewis Wright joined the following year that the quartet’s distinctive sound came sharply into focus. While developing arrangements for a tribute to Eric Dolphy, Empirical delved into his classic 1964 Blue Note album Out To Lunch! featuring vibraphonist Bobby Hutcherson. The concert was a huge success, but more importantly, the musicians bonded with a sense of purpose driven by devotion to jazz’s defiant ethos. 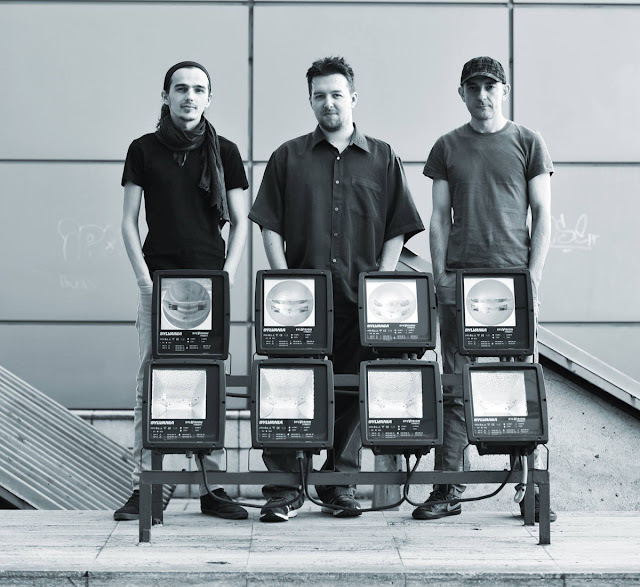 After the 2011 release of the band’s third album Elements of Truth (Naim), Empirical won the inaugural Golubovich Jazz Scholars fellowship at Trinity Laban Conservatoire of Music and Dance. The residency at the prestigious conservatory led to the band’s collaboration with the all-women string ensemble Benyounes Quartet, who were featured on Empirical’s 2013 double album Tabula Rasa (Naim). The ambitious, often spiritually-tinged project featured some of the band’s most beautiful and complex writing. 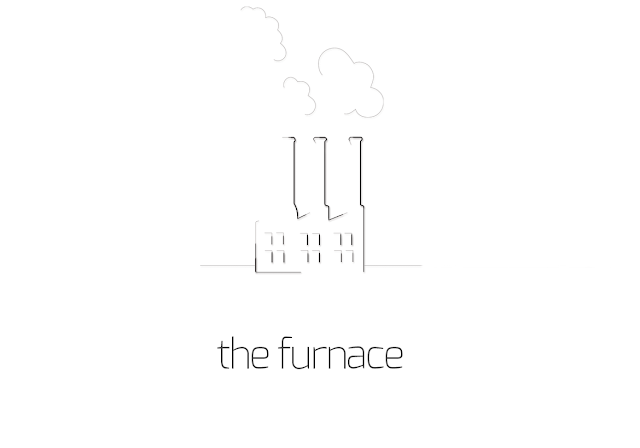 The Furnace is SS3’s third recording following critically acclaimed releases of ‘A Pasha’s Abstinence’ (2014) and Humanized (2013). 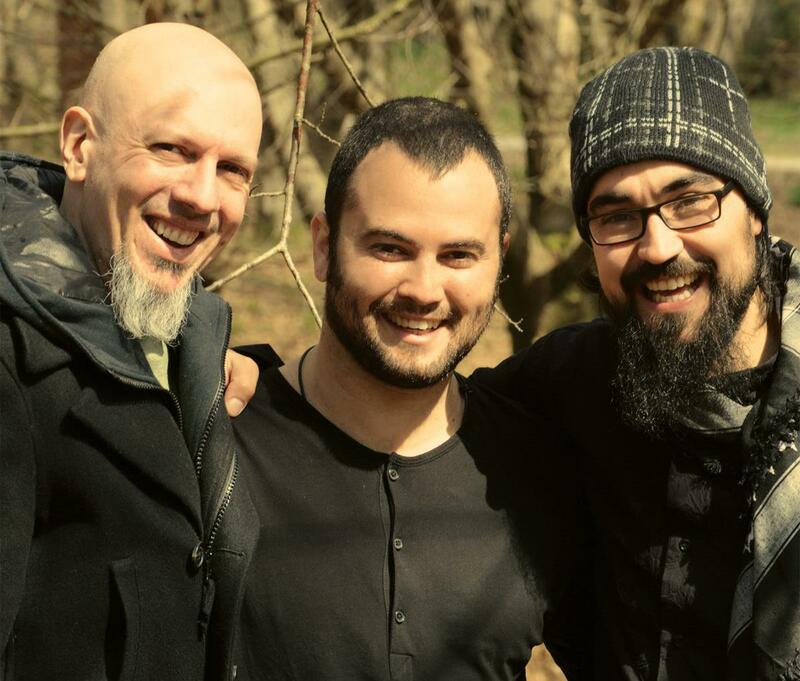 This time around the trio proposes a five part suite of new storytelling: the music follows the journey of the improvisational idea from its conception through the furnace of composition, group play, interpretation, and more. Daniel Juárez nace en 1992, en Talavera de la Reina (Toledo). Su padre, Francisco Juárez, le muestra la música de Jazz, Latin Jazz y Jazz Fusión desde la temprana edad de 4 años. Se inicia tocando el saxofón a los 10 años en la Escuela Municipal de Música y Danza Eusebio Rubalcaba (Talavera de la Reina). Más tarde se traslada a Madrid donde estudia piano, armonía y ensemble de Big Band en la Escuela de Música Creativa. 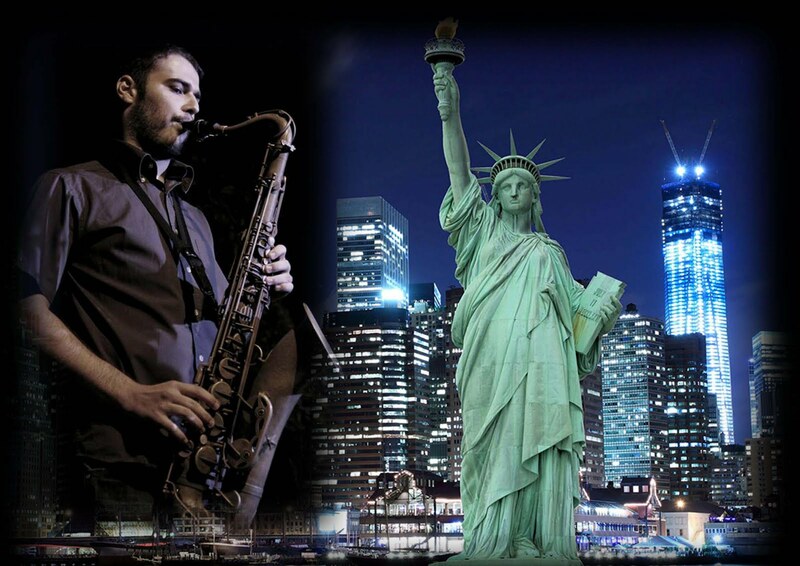 En 2011 comienza sus estudios para obtener el Título Superior de Música en la modalidad de Interpretación de Saxofón de Jazz, en el Conservatorio Superior de Música del País Vasco (Musikene), finalizando con nota sobresaliente en 2015. Después comienza su grado de Master of Music en la Manhattan School (Nueva York) y decide continuar su máster en Prince Claus Conservatorie (Groningen, Holanda), donde más tarde realizará un intercambio con Queens College para volver durante unos meses a Nueva York. En 2017 termina dicho Máster. 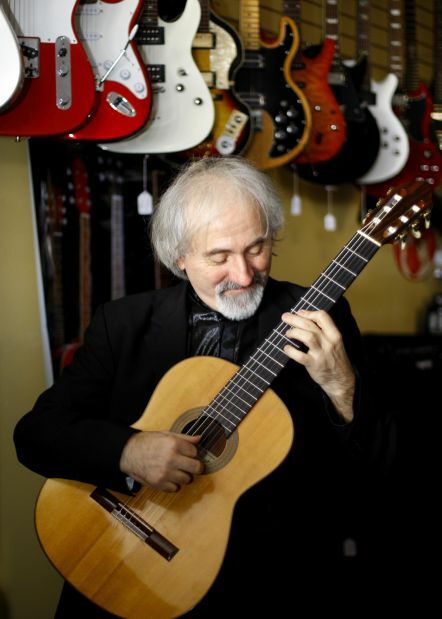 También ha participado en bandas y proyectos como: Bobby Martínez Big Band, Pepe Rivero Bib Band y quinteto, Bob Sands Big Band, Miguel Blanco & Jerry González Big Band, Afrodisian Orchestra, La Calle Caliente, Guillermo McGill 4tet, Mariano Díaz & Joaquín Chacón: Skytrain 5tet, The North Atlantic Jazz Connection, Seminal Jazz, Garob Band, The Machetazo 5tet, The Fool On The Hill, Aurora García & the Soul Band, Noa Lur 5tet, Jorge Castañeda 5tet, y sus propias bandas como líder, entre otros.... Ha realizado dos trabajos de investigación sobre: la evolución de la rítmica en el Jazz y la Polimetría o superposiciones rítmicas. 2010: gana el premio “Talavera Suena Jóven” con su cuarteto. 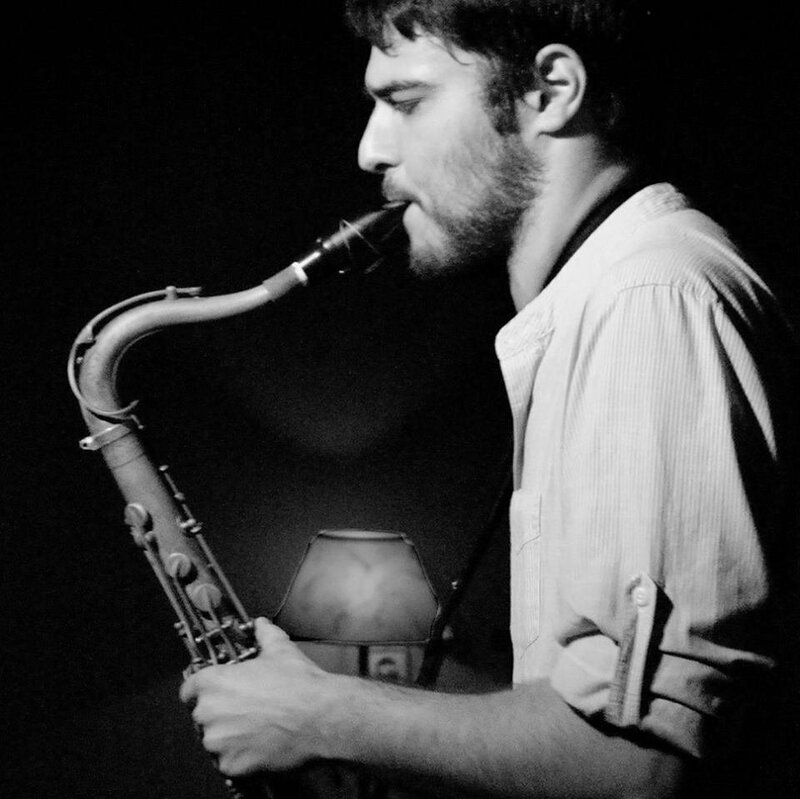 2012: obtiene el premio al mejor solista en el "V certamen de Jazz a Castelló" (premio que le concede Juan Claudio Cifuentes "Cifu"). 2012: finalista en el V certamen de "Jazz Sur l`Herve” en L'Anglet (Francia) con el grupo The North Atlantic Jazz Connection. 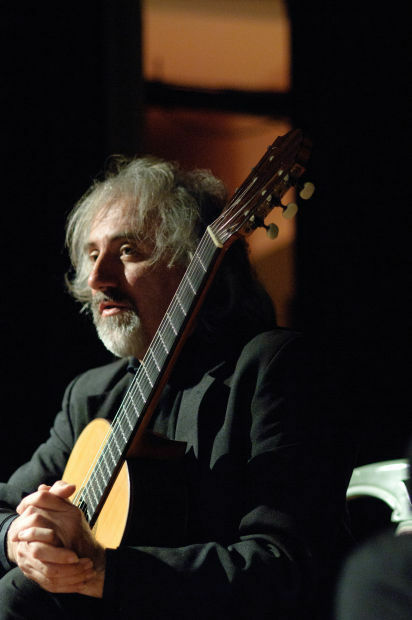 2013: Chema García Martínez (crítico de Jazz de la revista “Cuadernos de Jazz”) le nombra como uno de los dos músicos revelación de Jazz de 2013. 2015: ganador del “VI certamen de Jazz a Castelló” con el grupo Garob Band. 2016: finalista del concurso de Jazz Olorón (Francia), con el grupo Garob Band. 2017: seleccionado para concursar en certamen nacional Holandés “Next Generation In Jazz”. 7. Fight For What You Want! Recorded and mastered at Purchase College (Westchester, N.Y.) on November 9th & 10th (2016). Laura de Rover: sound engineering, co-production & mixes. Jorde Briman: Video filming and editing. Paula Pupo & Ricardo Fernández: art design. 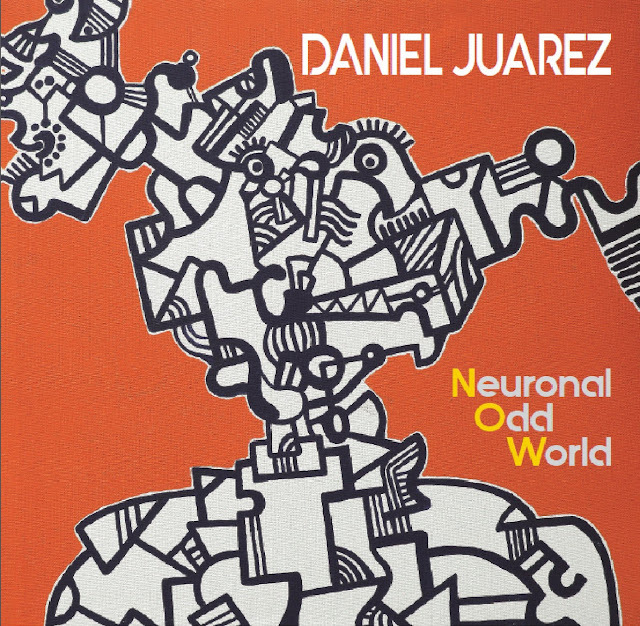 All songs composed by Daniel Juárez. All rights reserved. Lyrics of the tune "You Said My Eyes Could Speak..." by Daniel Juárez and Alina Engibaryan. Paulo Silva es un batería, percusionista, músico de directo y estudio y compositor de Salvador da Bahía (Brasil) que lleva 10 años por tierras gallegas desarrollando su carrera musical. Paulo es conocido por la versatilidad de estilos y por acompañar a diversos artistas de la Península Ibérica, Brasil y de otros países durante su carrera como Dulce Pontes, Uxía, Antonio Zambujo, Narf, Alceu Valença y Abe Rábade, entre otros. En su primer trabajo en solitario opta por centrarse en un estilo al que se está dedicando cada vez más, el jazz. En este trío cuenta con dos grandes músicos gallegos: Valentín Caamaño (guitarra eléctrica) y Alberte Rodríguez (contrabajo). 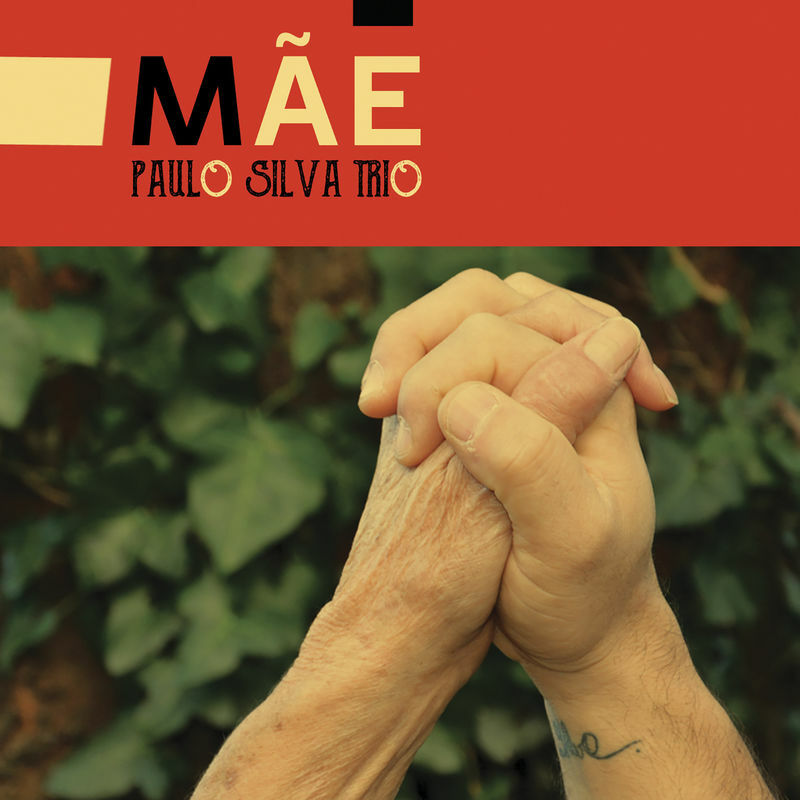 A principios de 2017 publica su primer trabajo discográfico titulado “Mãe” (Free Code Jazz Records, 2017), donde el trío ofrece temas propios y clásicos del jazz. 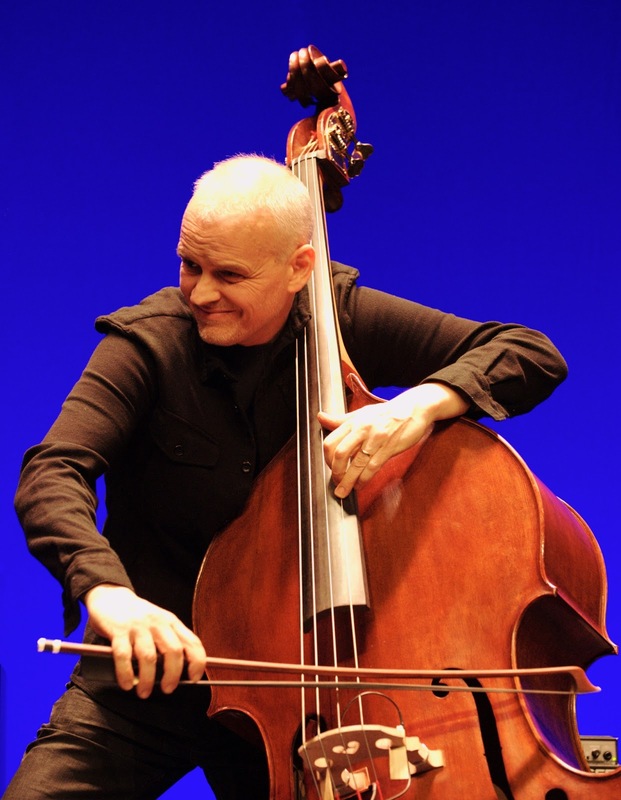 For Lars Danielsson, that consummate craftsman of sound on both cello and bass, the power of music resides in melody. It is the heart from which everything else develops, and his Liberetto ensemble has stayed true to this principle again in its third album. 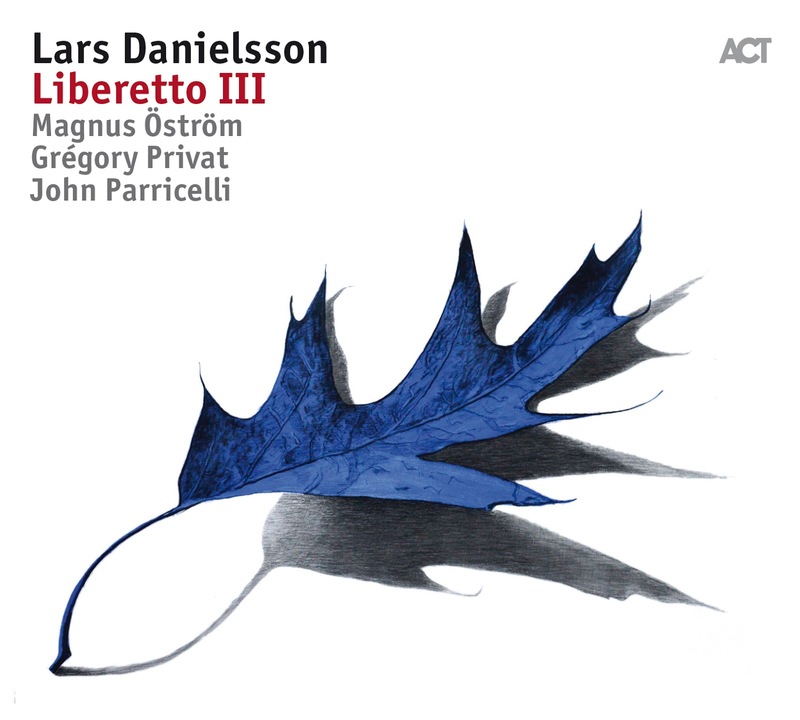 The word 'Liberetto' which Danielsson coined for the name of the group also serves well as a descriptor of his art. 'Libretto' is a reference both to Western art music which is the source of his compositions, and to their lyrical, vocal character. But also hidden in the band's name is the Latin adjective 'liber' (free). 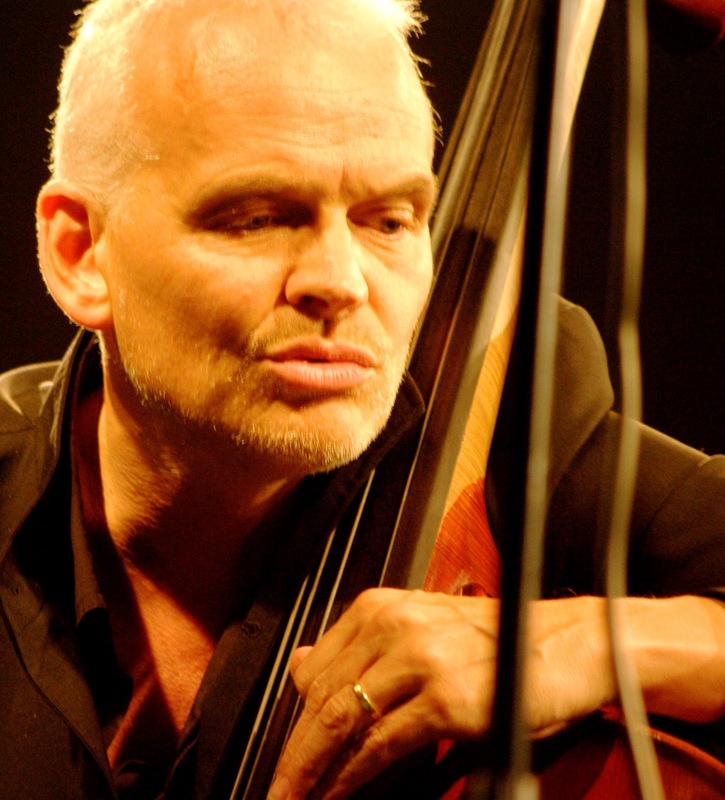 That stands for improvisation, for how individuals can take lines and shapes and adapt them, but above all it refers to Danielsson's musical understanding which acknowledges no boundaries. Il chitarrista Nando di Modugno, il bassista Viz Maurogiovanni e il batterista Gianlivio Liberti sono i protagonisti di "Cercle Magique", nuovo progetto discografico firmato Dodicilune. Il disco, che nasce dall’incontro di tre personalità musicali molto diverse fra loro, ma straordinariamente combinate in un dialogo a voce sommessa, sarà disponibile da domenica 23 aprile nei migliori store digitali e dal 7 maggio sarà distribuito da Ird in Italia e all’estero. 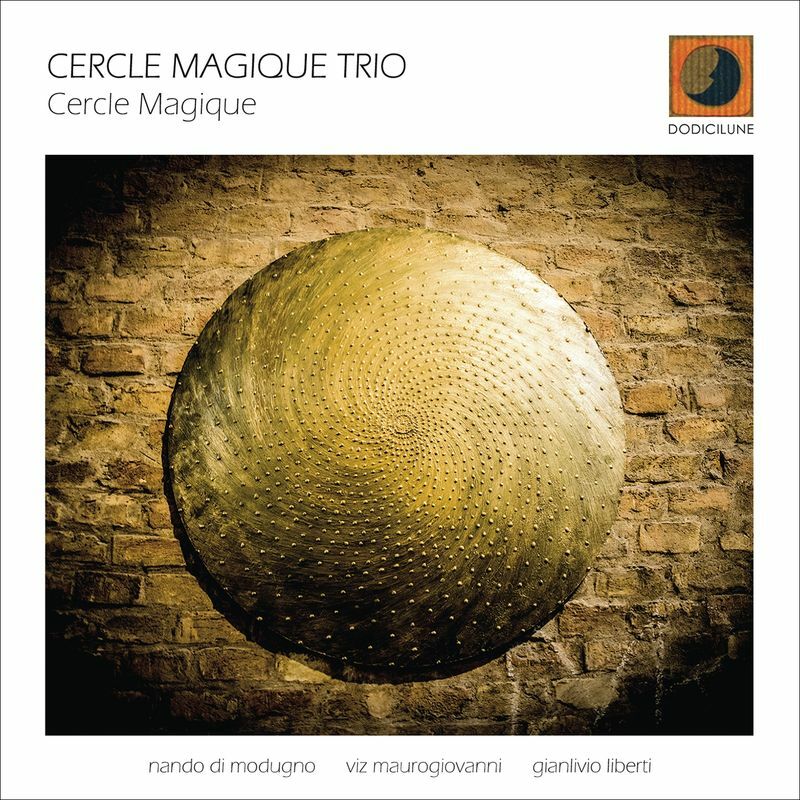 Cercle Magique sarà presentato ufficialmente con tre concerti al Ladisa in Jazz di Valenzano (23 aprile), all'Osteria Malatesta di Matera (28 Aprile) e al Moonlight di Bari (7 Maggio). Un viaggio tra il mistico e l’esoterico, che conosce la sensualità della terra e del fuoco e il battesimo dell’acqua. Ogni traccia evoca paesaggi suggestivi, universi onirici e straniati, che declinano naturalmente dal rarefatto al fisico, senza eccessi. I temi si fanno morbidi, i tempi lenti, e accompagnano l’ascoltatore in atmosfere soffuse e godibili. Gli interventi elettroacustici personali dei tre, le suggestioni jazz e un incalzante retropensiero funk-rock conquistano al primo ascolto. Dal torpore alla vita: tutto si anima all’improvviso nelle linee tratteggiate del basso e nelle vibrazioni incessanti delle percussioni. È l’emersione di un altro tempo, di un’altra dimensione.